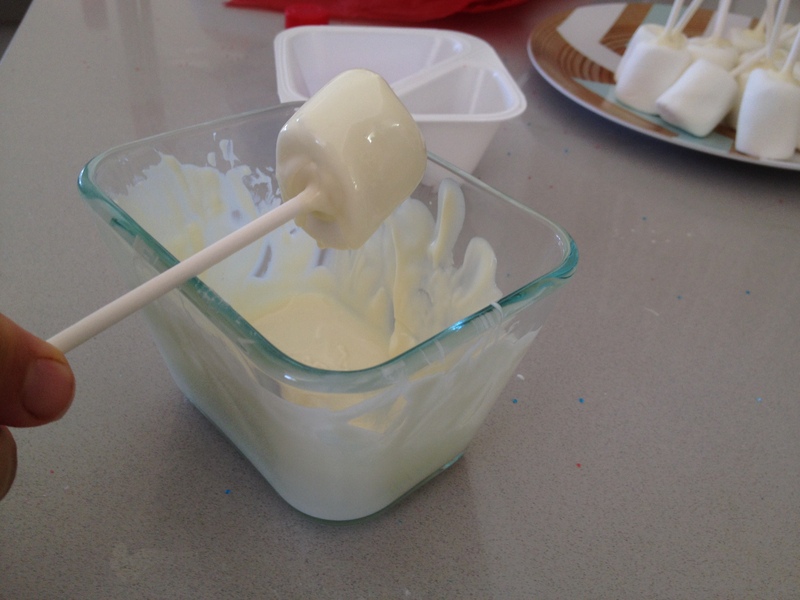 Super easy and fun to make with kids. You can get as creative as you want to or keep it simple. 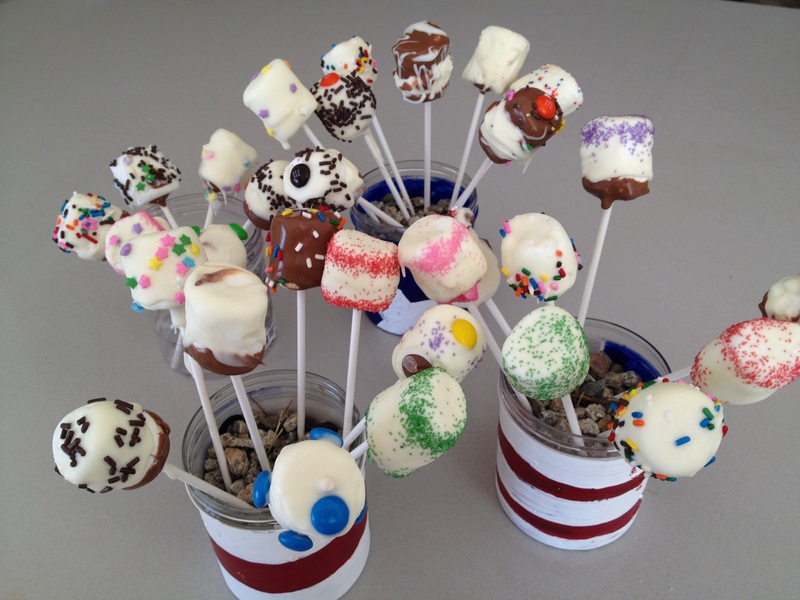 You’ll need: marshmallows, sticks (I used cake pop sticks), chocolate chips or wafers, sprinkles or other decorations (candies, nuts, etc). Melt a small batch of the chocolate chips or wavers according to package instructions until nice and smooth (I used the microwave). Dip one end of the sticks into the warm chocolate and place the dipped ends into the marshmallows. Rest them upside down on a plate for 10-15 minutes until stick is nice and set. 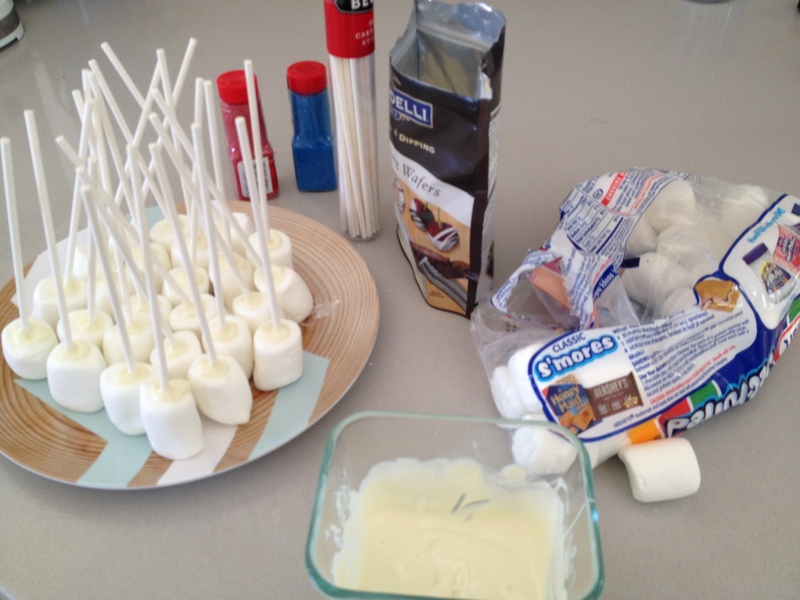 Melt another batch of chocolate chips and start dipping in the marshmallows on sticks one by one. You can dunk them or swirl them in it, whatever works. You can dip them in just a little or all of it. When you’re done, tap them against your dish to get the excess chocolate off. 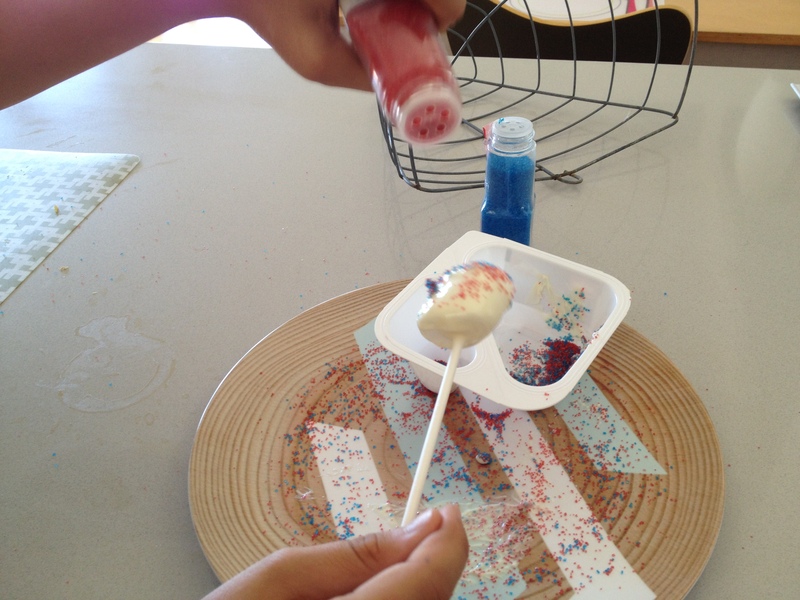 Then decorate them with sprinkles, candies or more chocolate chips. Sometimes I melt both white and dark chocolate and swirl one over the other or apply in layers. 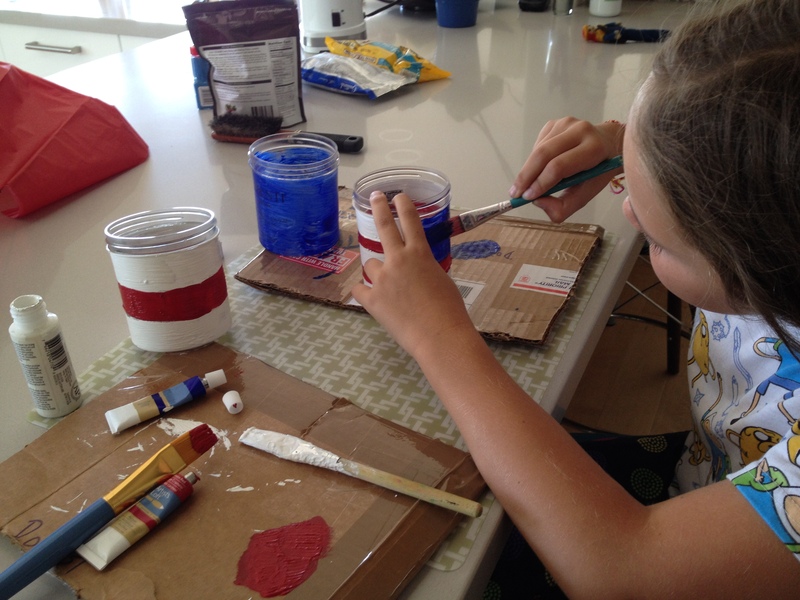 It’s a fun way to get creative. 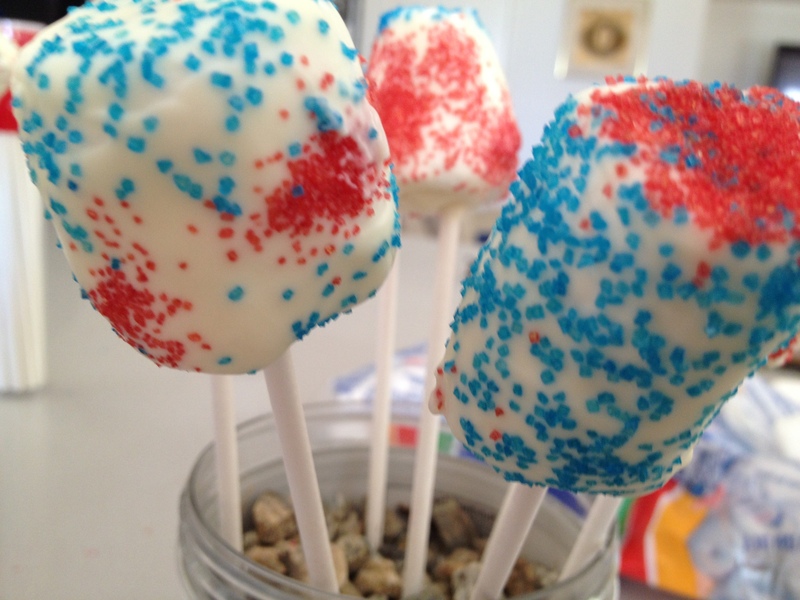 My daughter and I like to make these pops and decorate them for holidays and special occasions. 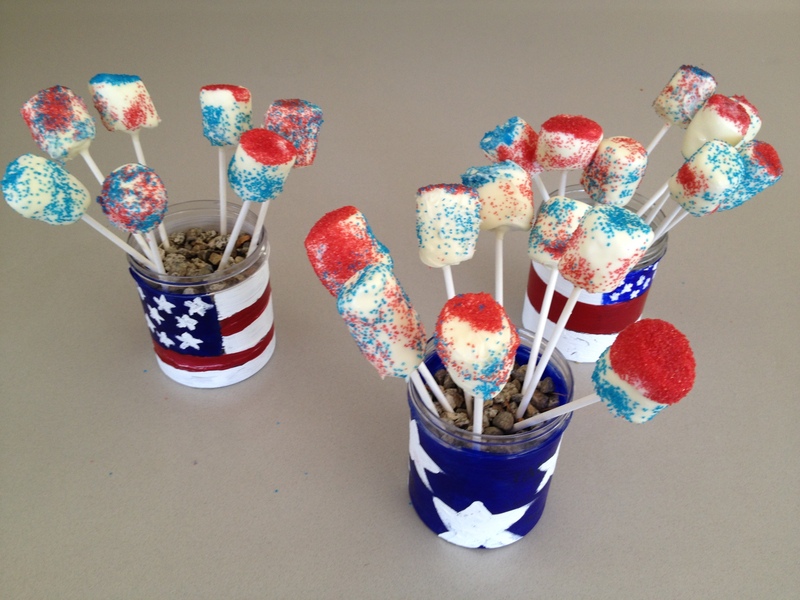 We also made cute holders from ice cream jars for our 4th of July Pops.